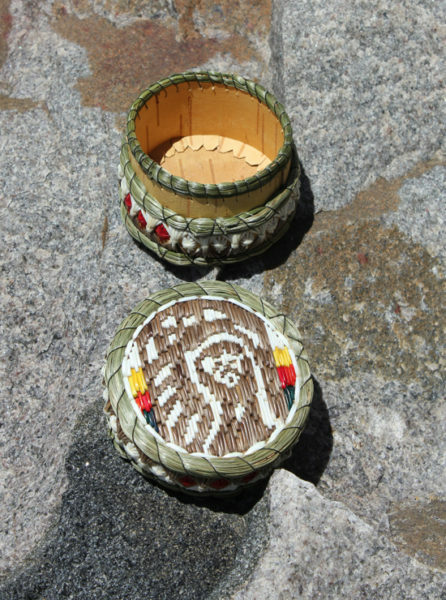 This basket features a Chief Head at centre, surrounded by the four traditional colours of the medicine wheel. 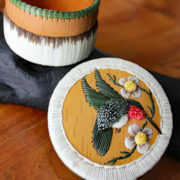 Craftwoman Carolyn Pickford is known for her traditional designs and intricate quillwork – note the detail around the sides. 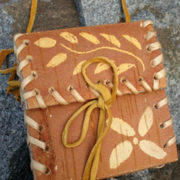 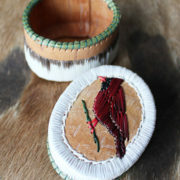 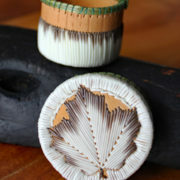 Measures 3″ in diameter and 2.5″ high (7.5 cm x 6 cm).